The black-footed ferret is an endangered species that was once abundant in the prairies of North America. 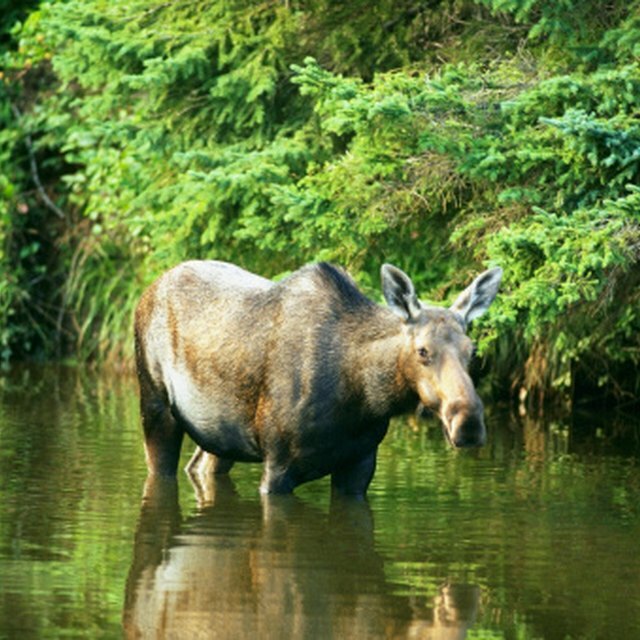 As of 2011, its range is restricted to 17 sites in the United States, Canada and Mexico where this animal has been re-introduced. The black-footed ferret is adapted skilfully to hunting its prey of choice, the prairie dog. However, the loss of many prairie dogs through hunting and disease also has had a massive impact on the numbers of black-footed ferrets. Black-footed ferrets are nocturnal animals and may sleep for up to 21 hours in a single day. Being active at night makes it more difficult for predators to spot the animal, as well as allowing the ferret to creep up on their prey under the cover of darkness. While hunting, the black-footed ferret can travel distances of up to 5 miles per night. The black-footed ferret hunts for its prey by searching prairie dog burrows. A long, flexible body helps the ferret to move quickly and easily through these holes and tunnels. These animals have narrow bodies, which usually measure between 15 and 20 inches long excluding the tail, which can measure up to an additional 5 inches. After the black-footed ferret has attacked its prey, it will use the abandoned prairie dog burrow for shelter and a place to raise its young. Large eyes provide the black-footed ferret with excellent vision, helping this animal to see in low light conditions while it hunts for prey at night. These animals also have large, concave ears that help them to hear prey and detect any danger approaching them in the dark. One of the black-footed ferret's most important senses is its acute sense of smell, which helps them to sniff out prey hiding in burrows. The black-footed ferret is a carnivorous animal. Although prairie dogs make up the vast majority of this ferret’s diet, it also occasionally may eat other animals, such as mice and birds. Sharp claws help the black-footed ferret to attack and hold onto its prey, while its strong jaw delivers a powerful, fatal bite with sharp teeth. The black-footed ferret’s teeth and claws also are used to defend it from predators. Animals that prey on black-footed ferrets include birds of prey and coyotes. The color of the black-footed ferret’s fur is an adaptation for defense purposes. Apart from the black markings on the head and legs, the majority of this animal’s fur is a sandy color, lighter on the belly. When this ferret is stationary, the color of its fur helps the animal to be hard to spot in its prairie habitat. Ames, Hayley. "Adaptations of Black-Footed Ferrets." 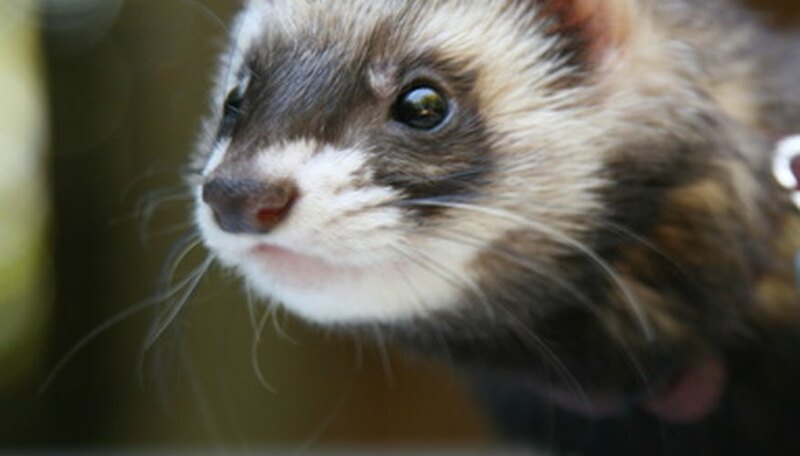 Sciencing, https://sciencing.com/adaptations-blackfooted-ferrets-8528190.html. 24 April 2017.